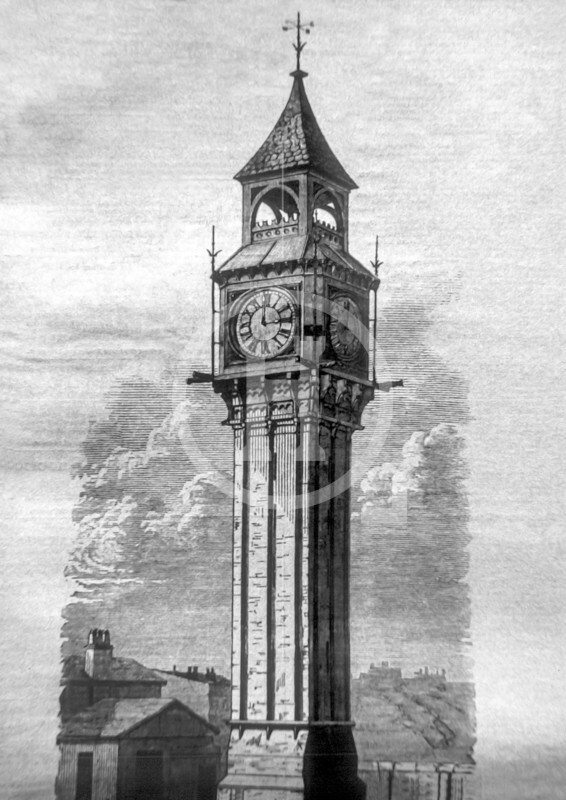 With the North Haymarket being regarded in 1868 as the great wholesale market of Liverpool, it was considered that there was need for a good public clock. This was duly provided. 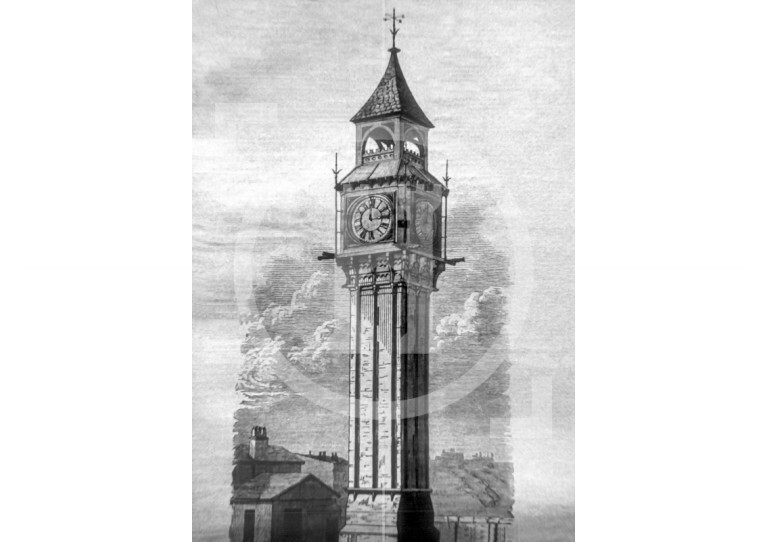 It was 76 feet in height and had 5' diameter clock dials. A baometer and thermometer were attached and there were drinking foundations of polished granite on two sides of the base.